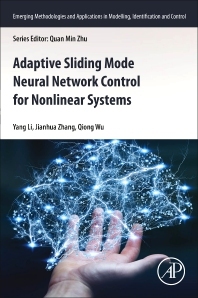 Adaptive Sliding Mode Neural Network Control for Nonlinear Systems introduces nonlinear systems basic knowledge, analysis and control methods, and applications in various fields. It offers instructive examples and simulations, along with the source codes, and provides the basic architecture of control science and engineering. Dr Li obtained her PhD from Yanshan University, China in 2014. She was a visiting student of the University of the West of England in 2012 and her main research interests are in the areas of sliding mode control, neural network control, time delay system and control applications. Dr Zhang obtained his BS degree from Jilin Normal University, China in 2003, his MS degree from Yanshan University, China in 2006 and his PhD from Yanshan University, China in 2011. His main research interests are in the areas of non-linear control systems, control systems design over network and intelligent control. Mrs Wu obtained her BA and MA degrees from Hebei University of Science and Technology, China in 2010 and the University of Sheffield, England in 2011, respectively. Her main research interests are in the areas of Corpus Linguistics, Translation, and Language teaching.